Optima Armchairs presents a quietly elegant seating solution to waiting areas or informal seating in open plan office spaces. Optima chairs provide an understated yet distinguished aesthetic across the family of seating. The collection consists of an armchair, two seater sofa, a swivel base armchair, a dining chair and a complementary coffee table. Optima Chairs boast an engineered upholstery finish with a classic touch and is further enhanced by a choice of exceptional frame finishes. 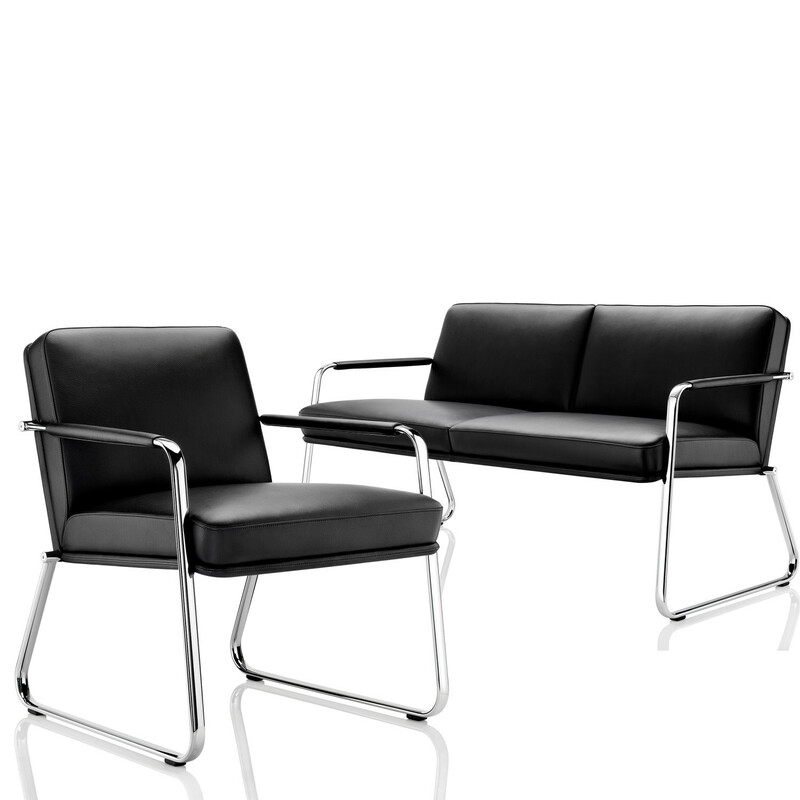 The Optima seating collection is available in bright chrome as standard, whilst the armchair, dining chair and sofa may also be specified in black and satin chrome. Optima symbolises the very best of British upholstery and furniture manufacture. You are requesting a price for the "Optima Armchairs"
To create a new project and add "Optima Armchairs" to it please click the button below. To add "Optima Armchairs" to an existing project please select below.